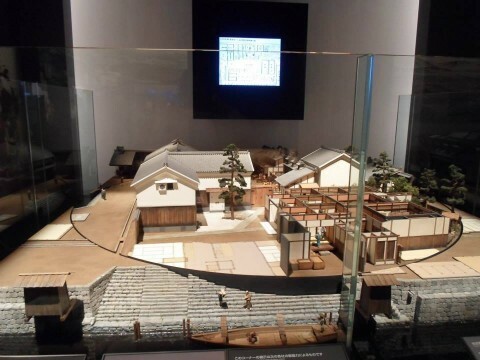 Inside the Osaka Museum of History are very detailed models, which depict the lifestyle during that period. The model in the picture is one example of many explaining the history of the city. When I went to this place it was the second time I had gone to a museum. What were great about this one were the large displays you can see and the transition from different periods as you make your way around the museum. I also enjoyed the Meiji period as it transitioned to Showa era. It is great that you can inside the buildings and see the little figures representing a past lifestyle.